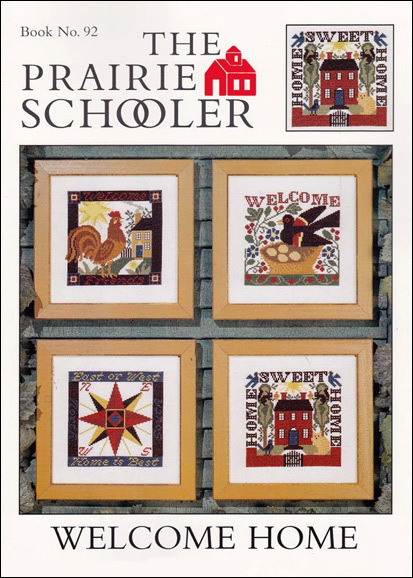 It makes me laugh to think that I chose to do two charts from the Prairie Schooler “Welcome Home” book for the walls of my new home, and that I’ve only just now finished the second one — 10 years later! The first piece has been hanging in my entry hall for (gulp) four years now, and today I finally framed and hung its companion. I suppose every stitcher has a stash of unfinished projects tucked away somewhere. I know I do. When I picked up my needle again after a long stitching drought, I promised myself that I would finish one of those not quite done pieces before starting something new. Well, today I can say that I did that. This was stitched per the chart with a few small revisions. I deleted the blobby-looking cat and added a second bird (sorry, cat lovers), and skipped a few tree branches so that I could insert some of my favorite bees buzzing around near the chimneys. I also added my initials, something I that forget to do more often than not. 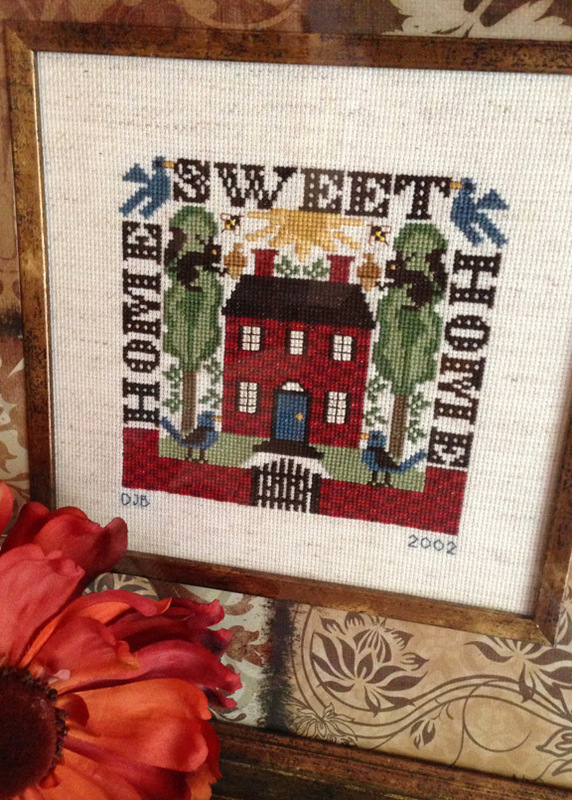 Lastly, instead of the current year, I stitched the year I moved into my home. Start in 2009 – finish 08/01/13!